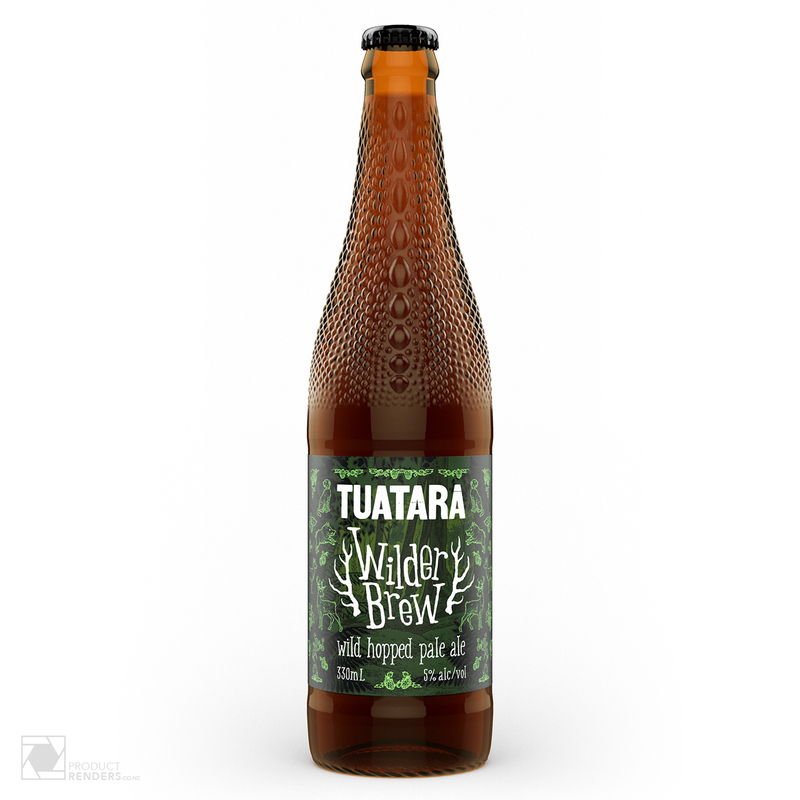 Tuatara breweries contacted us to make a render of their special edition Wilder Brew Pale Ale. This beer was lovingly crafted by the team of master brewers to launch the 2016 New Zealand adventure comedy movie ‘Hunt for the Wilderpeople’. The pale ale was made with a secret crop of the wildest and most untamed hops, hidden deep in the leafy grottos of the Waikanae River here in New Zealand. The movie wasn’t just the only thing to win awards. A prestigious 2016 Gold Award from the Brewers Guild of New Zealand was awarded to the Wilder Brew label. No wonder the Tuatara brewery wanted the bottle imagery to look the best it possibly could. To see the full great range of beers and ales from the Tuatara brewery or to contact them directly, check out their website here.